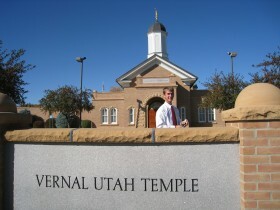 After a successful Day 1 and Day 2, Day 3 of the Utah Temples Tour began at the usual 4am. Some of us are a little rickety at this hour but we had roads to drive and temples to see. We left Kaysville at 5:15am arriving in Vernal in time for the 8:30am session. Like the Logan temple we moved to a terrestrial room half way through the session. The celestial room was beautiful. It was quite large, bigger than Ogden. It had a high ceiling and a large painting of Jesus Christ — what one would expect in a celestial room. There was a comfortable feeling about the temple. Beautiful brown woods communicated warmth and added to the “You’re at home” effect. Originally, the building served as the Uintah Stake Tabernacle for eastern Utah. 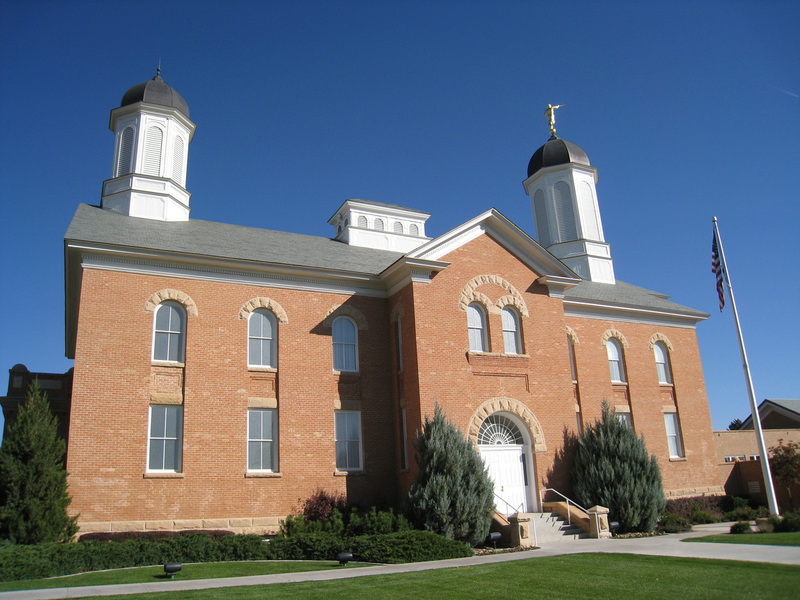 The building was built with donated labor and was dedicated on August 24, 1907 by LDS Church President Joseph F. Smith. 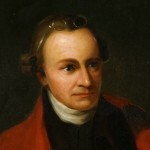 Smith reportedly said he would not be surprised if a temple was built there some day. In Vernal we ate at Subway before leaving for Monticello. We arrived in time to take all our photographs and then attended the 5pm session. As with Vernal, half way through the session we relocated to a terrestrial room. The celestial room was smaller than the one at Vernal but still very beautiful and peaceful. A temple worker showed us one of the sealing rooms. 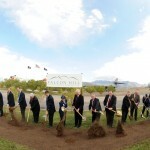 It was about the same size as the Bountiful sealing rooms that I have attended for weddings. She said there was another sealing room and just one endowment room if you don’t count the terrestrial room. The temple has few buildings around it and a local told us that a herd of deer will sometimes come through on the land across the street from the temple. This was a very friendly temple with the temple workers shaking our hands, asking where we were from, and insisting that we come back again. Tomorrow will bring Day 4 of the tour and the remaining temples: St. George and Manti. I really enjoyed being inside the vernal temple, it was beautiful. Hi there, I am supposed to go to Utah soon, so I might visit the temple. I hope you enjoy Utah, we enjoy having visitors. 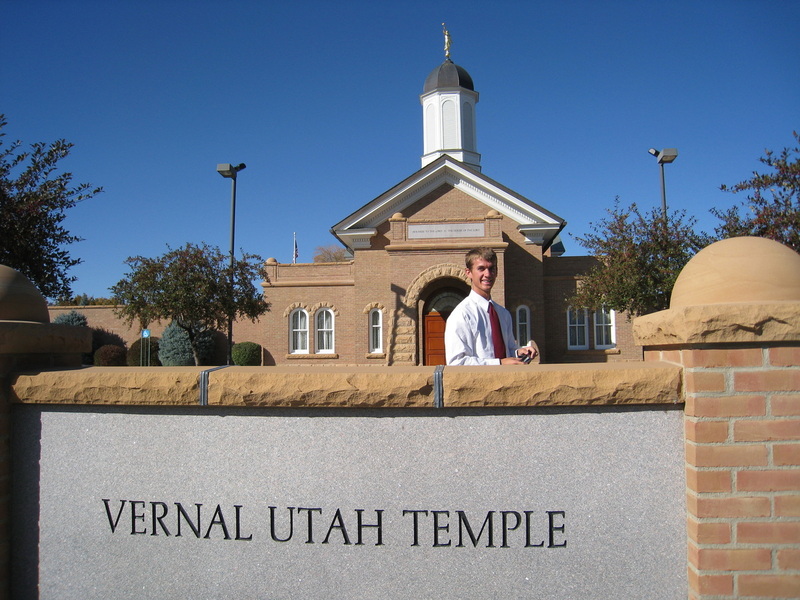 If you need any of my temple photographs to use for your Travelcia website just go ahead and copy them. 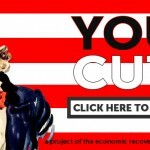 If you need higher resolution versions I can send them to you. The architecture is amazing. The stone looks so smooth. You are right, the stone is smooth. It is Turkish off-white marble. The temple is 11,225 square feet and sits on 1.33 acres. 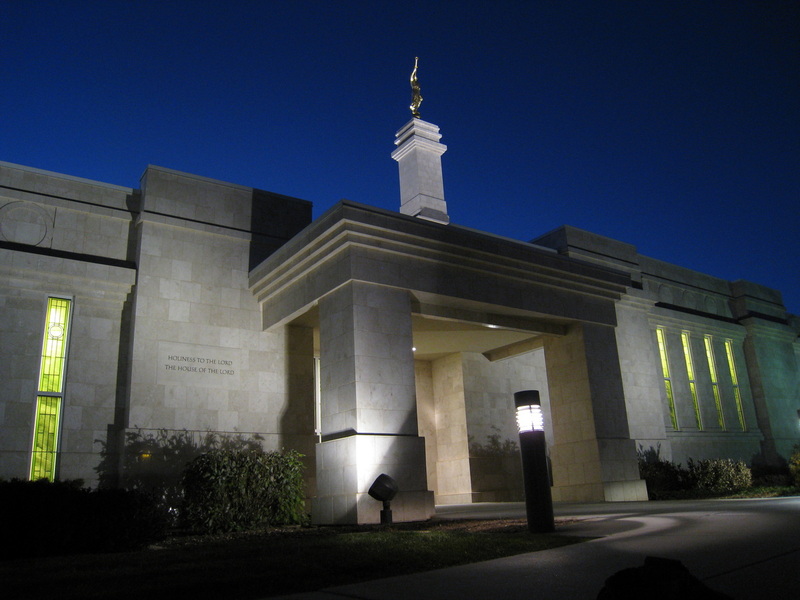 Once the smallest temple of the Church, the Monticello Utah Temple was originally just 7,000 square feet and accommodated a single ordinance room and a single sealing room. I liked your website. It has a functional design that is pleasing to the eye. I liked the navigation and the information presented was just right. Nice job on the map also. Thanks for commenting. The Monticello temple looks so cool! It’s very different from many of the other temples I’ve seen in Utah. It does kind of remind me of the conference center in downtown Salt Lake City though.